Cap: Pale to dark yellow-brown, dark brown spot in center; convex to plane/depressed in age; margin incurved, elevated/wavy in age. 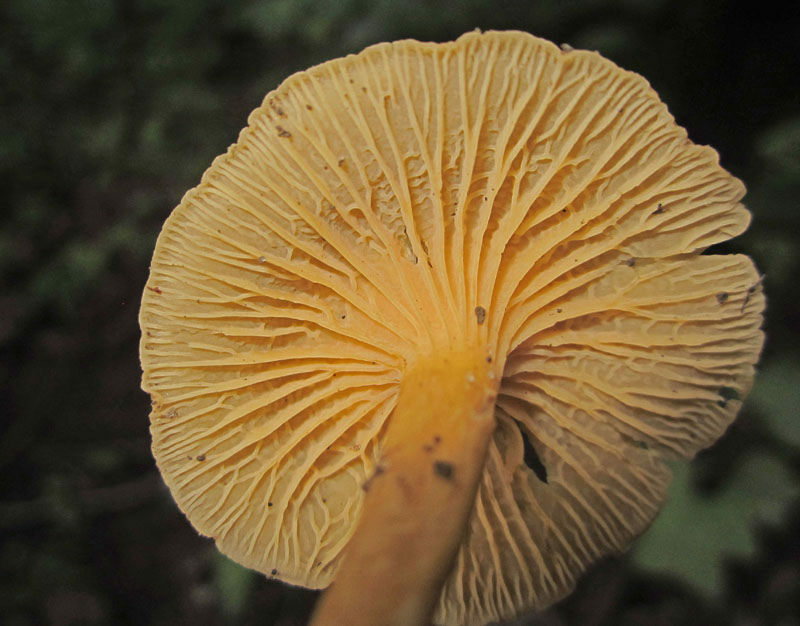 Fertile surface: Decurrent false gills with forked, blunt ridges, may have crossveins. Stalk: Pale yellow-brown to yellow-orange; smooth; hollow in age (J. Solem, pers. comm.). 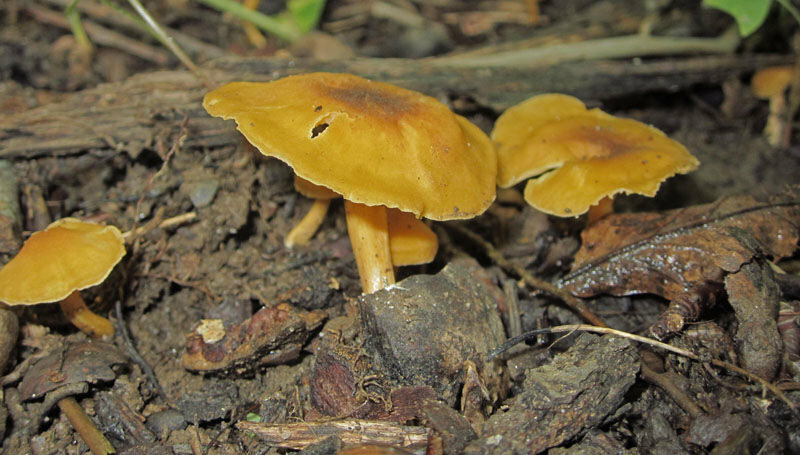 Solitary, scattered groups; on ground in mixed or deciduous woods (J. Solem, pers. comm. ).